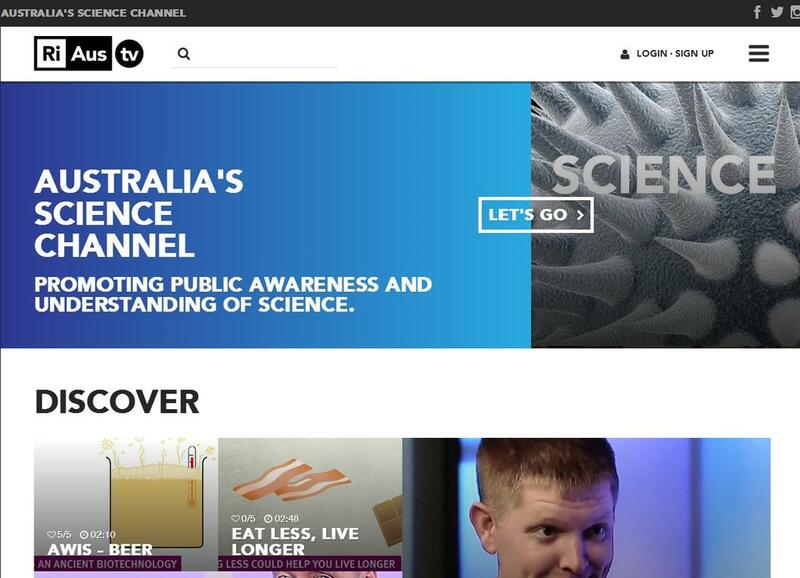 RiAus has launched RiAus TV, Australia’s first dedicated science channel, to meet the national demand for free high quality science-based content. The RiAus TV channel will broadcast high-quality science content from some of Australia’s major science-based organisations as well as exclusive interviews with leading scientists, such as physicist Brian Cox and Australian chief scientist Ian Chubb. The web channel is running now and apps are apparently in the offing. A range of universities and other science organisations have already signed up to provide content to the channel. There’s already quite a bit of content on the channel, although it does seem patchy and videos you can find on the RiAus webiste don’t all seem to be on the channel. Overall at the moment I found the offering a bit confusing and struggled to find programmes I wanted to watch. It feels like some clearer layout and more metadata might make it easier to find things, especially as the offering grows in depth. As a simple example, do a search on ‘maths’ and you don’t get Adam Spencer talking prime numbers although that video is available and thoroughly worth watching. But it’s early days and, right now, just browsing through the offering will have you stumbling upon some great videos. RiAus TV is a great initiative and will become a fantastic resource if it can fulfill its aim and develop into a key hub for science content. ← Australia leading the World in computer literacy – so what?